Brian Ricklin has been the full-time Executive Director and CEO of CAW since 2010, a role he stepped into after serving on its Board of Directors since 2007. He brings extensive experience in economic and strategic development, board management, and involvement in the arts, philanthropy and community service to bear on his leadership. Prior to serving CAW full time, Brian spent over 25 years in real estate portfolio management, acquisitions & dispositions, asset management and capital markets. He is the founder of Real Estate Acumen, a principal real estate investor and a real estate investment manager and advisory firm. Mr. Ricklin was Senior Director and Global Head of Asset Management at Marathon Asset Management, an alternative investment advisory firm, directing the $4.5B in real estate and real estate operating company investments in the Marathon Real Estate Opportunity Fund portfolio. Brian takes great pride in his corporate philanthropy and, with respect to his assets under management, the grass-root commitments and local community service of his various partners and operating properties. Since his formative childhood years, Brian has maintained three simple principles that brought him to CAW: empowerment through creativity, grass-roots community service and volunteerism, and leadership as a fiduciary. During his teens, Brian developed a love of the arts and integrated all forms of interdisciplinary studies during his undergraduate career. Brian’s leadership of CAW is dedicated to best practices and the quality and expansion of all its social ventures and program-related investments. He has brought CAW recognized, tangible and innovative results in development, board management, strategic planning, and programming impact, including achieving top ratings for fundraising efficiency, revenue growth and program expense growth. Brian’s responsible for CAW’s recent capacity-building, including attracting new talented program and development staff. Daniel joined CAW as Program Director in early 2017 to build on CAW’s legacy of successful creative youth development. His career has been dedicated to the power of inquiry-based, hands-on education. As a teacher, administrator, and thought leader, Daniel has led programs and developed curricula that engage audiences from early childhood to senior citizens, inviting them to observe carefully, imagine widely, create skillfully, embody empathy and think critically. Daniel brings thirty years of experience as an arts educator and administrator in schools, non-profits and museums. Prior to joining CAW, he served as Director of Education and Community Engagement at The Visual Arts Center of New Jersey, a museum of contemporary art and studio school in Summit, NJ. At VACNJ, he collaborated with teaching artists and senior staff to implement programming for school and community groups, including over 400 8th grade students from Elizabeth Public Schools and over 100 students from the Thomas Jefferson Art Academy. In school settings, Mr. Bergman has served as Head of the Visual and Performing Arts at Dwight School, an International Baccalaureate school in New York City, and as Head of Visual Arts at Trinity School, also in NYC. In both schools, he mentored teaching staff and worked with them to develop sequential, inquiry based, developmentally appropriate curricula. Earlier in his career, he served as a teaching artist at museums, including PS1, MoMA and The Guggenheim, and with community-based organizations, such as Lincoln Center Institute, and Studio in a School. Daniel serves on The Teaching and Learning Committee of the Board at The Center for Arts Education. Daniel holds a bachelor's degree in Studio Art and Intellectual History from Wesleyan University, a Masters of Fine Art in Studio Art from School of Visual Arts and a Masters of Education in Educational Leadership from the University of Pennsylvania. His thoughts on education, creativity and leadership can be found on his blog, danielbergman323.wordpress.com. In addition to being a painter and sculptor, Daniel is an avid fan of minor league baseball and all things related to Detroit, his hometown. Karen Jolicoeur joined CAW as Director of Development in late 2012, and has enjoyed working with Brian and the Board to enhance communications and outreach, to develop infrastructure, financial reporting and metrics, and to diversify and strengthen sources of support. 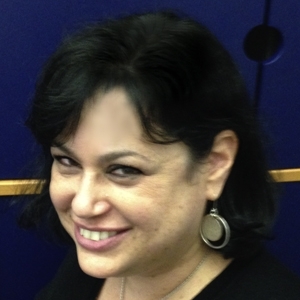 Karen has wide-ranging experience in nonprofit fundraising, business, and the performing arts. Prior to joining CAW, she was the development consultant for the Bronx Arts Ensemble, a multidisciplinary art organization in its 40th season. During her time with BAE, she helped the organization diversify its funding base, increasing support from foundations, corporate and government sources, and overseeing a dramatic increase in individual giving. Karen transitioned to development from a career in business, where she was previously the General Manager and Director of Shareholder Relations for Starlite Media LLC. Starlite, which Ms. Jolicoeur helped to build from the ground up, is an outdoor advertising company specializing in place-based, at-store media in major markets nationwide. Prior positions include those at Citibank’s Corporate Realty Services and at MacAndrews & Forbes Holdings in the corporate finance department. Karen made the move to development work to merge her corporate experience with her passion for the arts and arts education. A classical singer, she has performed in concert, recital and opera around the US and abroad, and at several notable venues in NYC including Carnegie Hall and Lincoln Center. As a frequent performer of new music she has appeared numerous times with the Center for Contemporary Opera. She holds a Master of Music in Vocal Performance from the New England Conservatory and a Bachelor of Music in Opera from the Hartt School. Karen lives with her husband and two children in the Inwood neighborhood of Upper Manhattan, where she is an active member of the community and a member of the Executive Board of the Parent-Teacher Association of PS/MS 278, Inc.
Lance Paladino joined the staff in the spring of 2014, bringing wide-ranging artistic and educational experiences to bear on the role of Program Manager. Prior to joining CAW, he served as Artist Teacher, member of the Curriculum Planning Committee, and Peer Coach/Mentor at the Joan Mitchell Foundation. 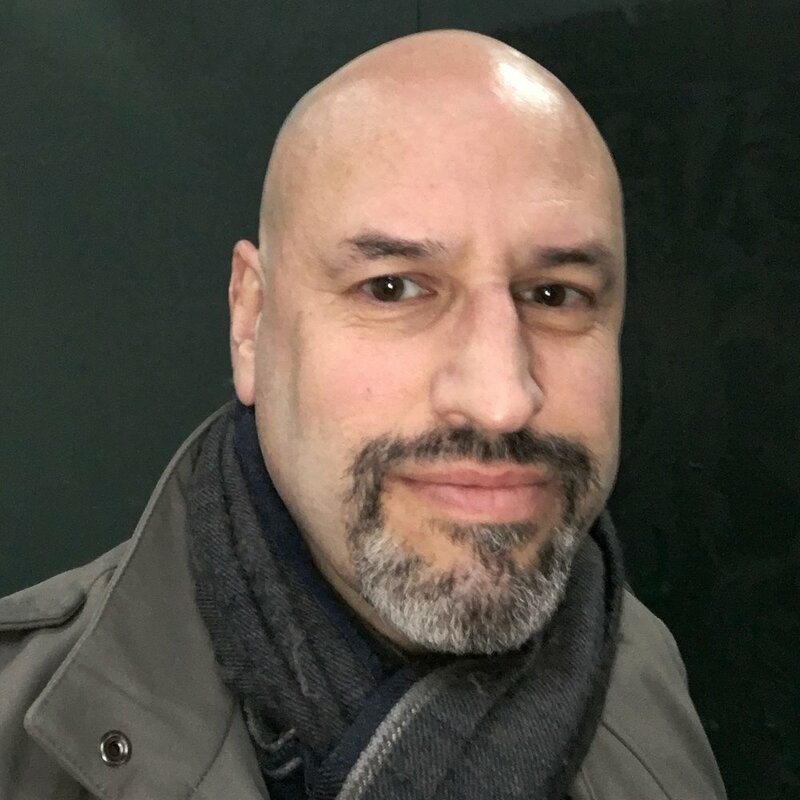 Lance also developed a strong working knowledge of Upper Manhattan through his 11-year tenure at the Children's Art Carnival as a Teaching Artist and Education Coordinator. Previous experience includes acting as Adjunct Assistant Professor at York College/CUNY, teaching Graphic Design and Drawing, and as Museum Educator through Symphony Space at The Brooklyn Museum of Art, The Metropolitan Museum of Art, and the National Museum of the American Indian. Prior to moving to New York, Lance was an illustrator at The Field Museum of Natural History in Chicago, and an Assistant Teaching Artist for the renowned Marwen organization at the Cabrini Youth Center for Learning and Education in Cabrini Public Houses. Lance holds an MFA from the School of Visual Arts in Illustration as Visual Essay and a BFA in Visual Communication from Kent State University with a concentration in Studio Art. He has exhibited throughout New York City, in The Netherlands, Austria, and Japan. Ashli became Program Operations Manager in June of 2017. She first worked for CAW as the 2016 Summer Youth Employment Coordinator, before becoming a CAW Teaching Artist and, later, our Community Events Coordinator. Previously, Ashli was an adjunct professor for Molloy College, where she taught and developed curriculum for a variety of classes on the theory, business and culture of art. Ashli studied at San Francisco Art Institute, where she won the Gamblin Paint Prize, and earned her MFA at Montclair State University. Her art has been shown in San Francisco, London and throughout New York and New Jersey. Her paintings were included in Wildlife of The Highlands, a traveling exhibition that toured the tri-state area. She curates an annual fall show at Freddy’s in Brooklyn and is a contributing writer for ArtFile Magazine. Ashli’s art is predominantly concerned with the intersection of wildlife conservation, the anthropocene, and human hubris. Her three NYC murals depict endangered species, including a tiger; a rhino; and a black-chinned hummingbird, which was painted for an Audubon Mural Project. She successfully funded a Kickstarter campaign to travel to Indonesia to paint three of the last 100 surviving Sumatran Rhinos. This work became the foundation for The Sumatran Rhino Conservation Coloring Book, which she published in English and Bahasa, the official language of Indonesia. She is a sponsored artist of The International Rhino Foundation. Ashli has volunteered for North Manhattan Arts Alliance; the Bully Project, a pit bull rescue group; and Root Division, a community arts education nonprofit in San Francisco. She believes in creating spaces for young people to express themselves and expand their perspectives. Ashli loves her cats, dog, and rabbit. She is not averse to fossil hunting in creek beds when the weather is good. Her many adventures include crossing the Sunda Strait on a raft during Monsoon season, climbing an active volcano, and being attacked by leeches. Stefanie joined CAW in early 2017, working first as a Teaching Artist and then as a member of the Development team before moving into her current role as Program Coordinator. Prior to joining CAW, Stefanie taught at the Whitney Museum of American Art; planned and taught an afterschool Feminist Art Club for public high school students in Baltimore; was the Program Coordinator for City Art Lab, a free program for teens at the City College of New York (CCNY); and spent years volunteering with Free Arts NYC. She earned her MA in Art Education from CCNY in 2016 and holds a BA in Psychology and Art/Art History from the College of William and Mary. Stefanie is also a practicing artist, illustrator, knitter, and amateur whittler. Her drawings have been shown at Brouwerij Lane in Brooklyn and at the CCNY Art Education Graduate Student Art Show, and she has designed invitations, brochures, posters, and album covers for a variety of clients. She is currently illustrating her first children’s book. In addition to passionately advocating for arts education wherever she goes, Stefanie enjoys hiking and camping, riding her bicycle around the city, rooting for the Mets, and talking about her cat, Captain Augustus (Gus) McCrae. She used to play drums in a feminist punk band and if she were not an art teacher she would be a cowgirl. Scott Lucas joined CAW as Communications and Marketing Manager in late 2014. Scott was hired to help build the CAW brand by creating and maintaining print and web publications, growing CAW’s presence on social media, and developing innovative earned revenue opportunities. Scott will also be working behind the scenes to manage and increase our database of constituents and to organize our extensive and rapidly growing photo and video library. Scott has nearly three decades of experience in writing and graphic arts. He was previously the Director of Marketing and Research for Phil Fraley Productions, Inc., a studio that fabricated museum exhibits, including mounts for fossils and other natural history specimens. Scott holds a Masters of Professional Writing from The University of Southern California and a Bachelor of History from The George Washington University. He spent four years as a secondary school teacher in South Central Los Angeles and three semesters teaching remedial English at Bronx Community College. In his free time, Scott writes fiction and illustrates his own stories. He is an avid bike rider and an Instagram addict. Scott has a standing gig teaching dinosaur sculpture to young children during the Annual Dinosaur Day at the Newark Museum. Jill joined Creative Art Works in the fall of 2014 to oversee human resources, bookkeeping and general office management. She brings years of not-for-profit organizational management experience to CAW. Originally a social worker, Jill holds a Bachelor of Science in Rehabilitation Education from Penn State. She worked for several years with children in homeless shelters and in residential treatment, where she saw the positive impact of art programming on the lives of at-risk youth. She subsequently moved from direct care into organizational management. Prior to joining CAW, Jill spent more than six years as Business Manager for the Folksbiene, a not-for-profit Off-Broadway theatre entering its 100th year.